Keep working on your problem set after you get stuck. Don’t just sit and stare at it: think hard; until you’re exhausted; then come back the next day and try again. This will be uncomfortable, but that discomfort is the feeling of your brain stretching to accommodate new abilities. I explained that I had been studying theoretical computer science and mathematics at a high-level for the past decade, much of it spent right here at MIT. Over these years, one conclusion has become increasingly clear: the more hard focus you dedicate to a technical subject — be it computer science, chemistry, or physics — the better you get. Junior graduate students think senior graduate students are smarter, but they’re not: they simply have more practice. Senior graduate students think junior professors are smarter, but they’re not: they simply have more practice. When I arrived at Dartmouth, to name another example, I didn’t consider myself good at math. I had taken AB calculus during high school (not BC), and had scored a 4 on the AP exam (not a 5). By my sophomore year of college, however, I had made a name for myself by snagging the highest grade out of 70 students in an advanced discrete mathematics class. What happened in between? A lot of hard focus. But this isn’t about natural aptitude, it’s about practice. That other student has more practice. You can catch-up, but you have to put in the hours, which brings me back to my original advice: keep working even after you get stuck. That’s where you make up ground. Solving math problems and applied math problems like physics, engineering, etc is all about applying the right formulas / theorems. When you are stuck, it’s usually because you either a) don’t understand the problem or b) aren’t applying the knowledge that was taught in class or in your textbook correctly. The best thing to do when you are stuck then is to GET HELP. My advice to students who want to succeed at MIT is start your problem sets early. Don’t wait until the night before it’s due. If you get stuck on one problem, start working on the next one. Sometimes working on another problem will help you realize what you were doing wrong on an earlier problem. (The same thing applies to doing well on tests.) At some point, you will really be stuck. This happens to everyone! Then the best thing to do is to go to the professor’s teaching assistant’s office hours or even call them on the phone to get help. They can walk you through the problem and tell you why you are getting stuck or what you are doing wrong. The interested reader my search for my blog post on “solving hard problem sets without staying up all night”: it details how I used to tackle problem sets. It’s quite similar to what EricH says above. Have confidence that your brain can expand to meet the intellectual demand placed upon it. It might not happen immediately, but it will happen. I have found this concept useful for more than just math – it’s especially helpful when trying to grasp a foreign concept in a foreign language. I’d like to hear your definition of what a technical subject is. It seems by your wording that certain things might not become easier or achiveable through deliberate practice/hard focus. What subjects or areas would you include into technical subjects? EricH, in grad school you ARE the TA. The article is about how to learn things others cannot teach you. I realized how to study Math after getting my Sc.B. in Mathematics at Brown, so somewhat belatedly. Here is my additional advice for how to approach a mathematics or theoretical computer science course at the undergrad / masters level: Most of these courses are in generally ‘solved’ arenas. They are typically structured around a major result or group of results. Almost no professors will explain to you when you begin study of a semester-long course that you will, as a class, be driving towards a specific result — derivatives, integrals, central limit theorem, or what-have-you. If you KNOW where you’re going, a mathematics class becomes much easier. There’s a simple way to figure out where you’re going — the first week of your math class, read your math book like a novel. Skip the boring bits, read the bolded bits, don’t bother to do many problems, although you should read some at the end of each chapter. Make sure you get to the punchline. Thoroughly read the punchline / ‘result’ of the book or course. Now, at the pace of class, or ideally, since you are following the above advice and working harder, a little more quickly, go through the book thoroughly, line by line. Own the material between the start and finish. For most people, knowing where exactly they’re heading makes a huge difference in comprehension. 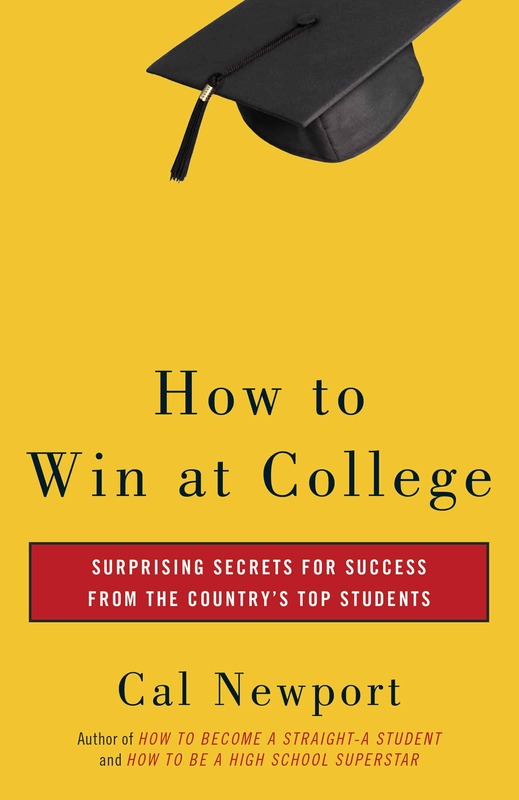 I muscled through my math classes, frequently content to not understand the point until after the mid-term, but that didn’t need to be — I owned the books, and could have skimmed them for the main points quite quickly. Combined with focused thought and hard work, this combination will put you ahead of the vast majority of classmates. I recommend a solutions manual. That sounds ludicrous–after all, where’s the challenge if you have the answers? However, the solutions presented are often cryptic and hard to understand without knowing the material. After working for a while, applying the best methods you know, and getting stuck, viewing the solutions can be eye-opening. Sometimes, even the solutions appear to be nonsense. That’s when you turn to the book. At that point, you’ve discovered a hole in your knowledge, and you’re much more curious about trigonometric integrals–or whatever–than you were before. If you’re doing this before the deadline and you’re still confused, then you’re ready to ask a professor questions. In physics and mathematics especially, the so-called physical intuition and mathematical maturity are results from spending time with concepts and problems. Those geniuses are usually people who spend more time exploring those physics and mathematics in their high school. Some people, like me, are supposed to catch up. I am a Physics major btw. Disclaimer: I completely agree with your main point. Just this week, went after an algorithm 4 different times on a whiteboard and finally got the efficiency I needed on the last pass. Can’t describe how satisfying that was. I think it was Hemmingway who suggested only stopping work when things were going well not when you’re stuck. I like to put in the hours but give up when the going is good, that way the rest of the day is not clouded in frustration and returning to study is a pleasure, not something ominous. By the way, this theory works about 50% of the time, when you’re stuck and the clock runs out on your day … nothing you can do. When I was in high school, I remember that physics was all about choosing the right equation to the problem. Even if you’ve memorized ALL the laws and equations in physics, you might end up not knowing how to solve a simple problem. So, yeah – practice is the key. as a person with ADD – how do i hard focus? close to dropping out of school because my grades are that bad. college is not for me :<? I have a kind of offtopic question: I’m studying liberal arts, but keep struggling with the linguistics and grammar courses, where I have to determine constituents of a sentence and so on. Does anyone has any tips for me? @a: If you have ADD. Treat it. Psychostimulants are first-line treatment, and can dramatically improve your quality of life. Organizing your stuff is a major part of it too. Good luck. 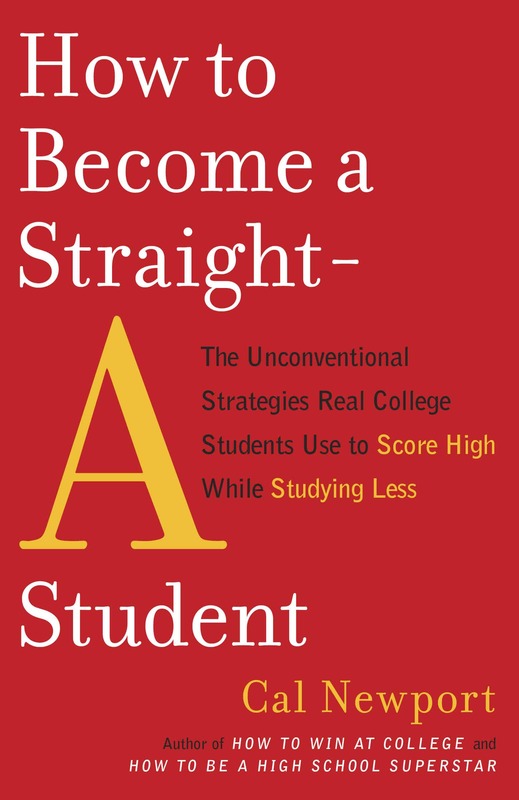 @StudyHacks: Another great article, and so true. Malcolm Gladwell makes a the same point in Outliers. I think most students in the United States consider a problem hard if they can’t figure it out within 30 seconds and approximately 3 minutes. The ultimate result though is that if you stay with things longer you tend to figure more things out. If figuring out the constituents of sentences causes trouble, the cure is learning to diagram sentences. I just checked Amazon, and there are half a dozen books that claim to teach you how to do the diagrams. Would love to hear a report back on how this works. I feel that working math contest problems is sort of like deliberate practice for getting the general gist of problem-solving down. I know for sure that working through the Art of Problem Solving’s contest books has been a huge help to my problem solving skills. And no, I don’t work for them. But the books are really really good. Don’t forget, the point of jerking yourself off with Calculus in Uni is not because there’s a practical use, but because you’re trying to get smarter; it’s supposed to be a challenge. Actually being ‘good’ at this stuff, or a savant, is not much of a goal. The point is to give you a whole other way of seeing the world. Like Damon in ‘Good Will Hunting’ ‘geniuses’ don’t have that other way of seeing the world, they just have one. That’s not the goal here. The goal is to broaden the mind. Good luck. What subjects or areas would you include into technical subjects? My usual answer is anything with formulas. I don’t think, however, deliberate practice is limited to just technical subjects. I think this particular paragraph is a stretch. By definition, “discrete” math is completely unrelated to calculus. I think you’re reading a little too closely. The point in that example is that I left high school not thinking of myself as “a math person,” but by my sophomore year realized that I was perfectly capable at doing math — it just came down to practice. There are specific approaches to school work that I have seen work well for ADD. Ask your doctor about this. What is going to work for you will probably seem different than the type of advice I give here on Study Hacks. All the kids in my honors chem class seem to understand things a lot quicker when it is explained in class, and then they don’t seem to forget it. For me, it takes 4 or 5 tries to understand it. No matter how hard I study, I don’t get above an 80 on tests, mainly because they are not regurgitation of the homework we have been doing, but instead are new concepts that we have to apply the old material to. I understand the old concepts, but when I am presented with a tricky or different problem where I have to use the concept in a different way, I get stuck and don’t know what to do. So how would I improve? in this post you talk about how people observe the behavior of a person (like a senior graduate student) and infer something about their character (that they’re smarter than you) rather than attributing it to the situation (that they have more practice with the material than you). people explain the behavior in terms of disposition/character even though the behavior is actually better explained by the situational factors. from reading your previous posts, it seems like you like social psychology, and social psych has a name for the phenomenon that you’re talking about here: the fundamental attributional error. it’s well documented that instead of the situational explanation people tend to explain people’s behavior in terms of disposition/character, particularly in individualistic cultures (i.e., western). collectivistic cultures (i.e., eastern) tend to attribute behavior more to situational factors. fun fact. thought you might be interested. if so, there’s more here: http://en.wikipedia.org/wiki/Fundamental_attribution_error. There are specific approaches to school work that I have seen work well for ADD. Care too share them please o.O? I’m in a country that’s highly skeptical about ADD and has banned stimulants like Adderall and Ritalin. Mental health is also not covered in my health subsidies :(. I know i’m not lying and I’m not lazy but I have all this energy and sitting still and applying is next to impossible. i am looking into meditation but that too has been challenging to do for more than 5 minutes at this point in time and i don’t think it’s going to help in time for my finals next week. i’m sorry to bother you guys again :(. i actually wish i lived in the US where they over prescribe and diagnose ADD/ADHD vs a place where doctors say that it is a children’s problem and should be treated before 15. How do you recommend “sticking with it” on problems that require some sort of leap of logic? I’m thinking of math problems that require you to “assume a solution of form f(x)”, but you have no idea what f might be. Inductive proofs can fall into this realm, since you often have to know the form of the answer before you begin. How do you “stick with it” when you have absolutely no idea where to go next? Which accounting course are you in (Financial, Managerial, Intermediate 1, 2 etc.)? Also, how do you study the material? I have a 4.0 going into senior year (so I’m through with the courses that tackle basic/intermediate accounting concepts), and I’ve found that reading the chapters and making sure that I actually understand the REASONS behind why certain things are done make the classes much easier to tackle. Accounting is not difficult, but it does take a tremendous amount of time/work in order to get a firm grasp of the subject matter. This past year, while taking Intermediate 1 and 2, I found myself spending 3-5 hours reading 30 page, very dense chapters(not all at the same time, though. I typically would spend an hour or two each day reading only about 10 pages to avoid fatigue). Then, right before the test I would look back and realize that the entire chapter basically centered around one or two very simple concepts. However, my peers that neglected to read the chapters (and instead opted to read the very brief 3-4 page study guide chapters) always performed poorly on the tests. I guess the moral is that it doesn’t seem possible to take shortcuts with accounting; it is going to take some serious study time. 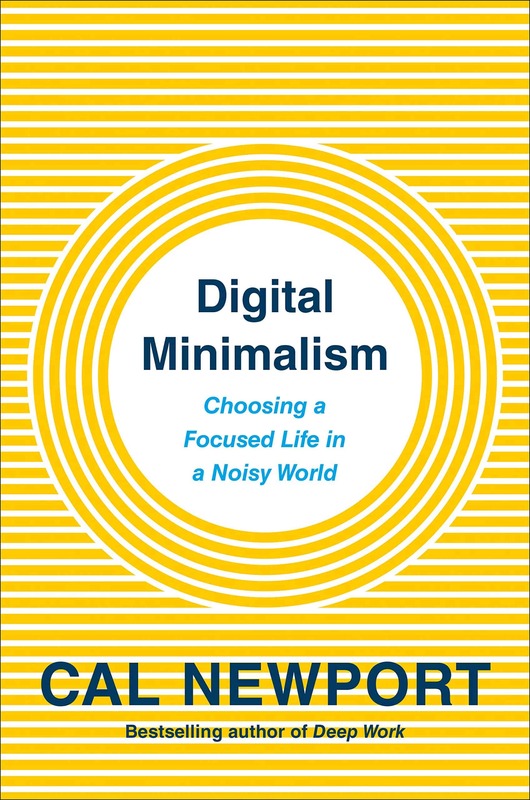 I also would recommend reading Cal’s yellow book, as I feel that it has been a tremendous help in allowing me to maintain good grades. I’d second this. I’ve had a lot of academic success and I’m really not a genius. I accredit most of it to serious, in-depth reflection. When I don’t really understand something, I go over and over it (in a sort of compulsive-obsessive way) until the concept it crystal clear in my head. I think I’ve come to understand a lot of technical concepts even better than experts, just because of the mental clarity gained from obsessively thinking and rethinking a concept. Nice article! I used to think that the students at the top of my classes were just smarter than me. After my math degree, I decided to switch to stats for my masters and had to enroll in some 3rd year stats courses to prepare. I suddenly found that I was the one at the top of the class, probably because I had been at University for 2 years longer than the other students. Math skills are definitely something that you have to earn. 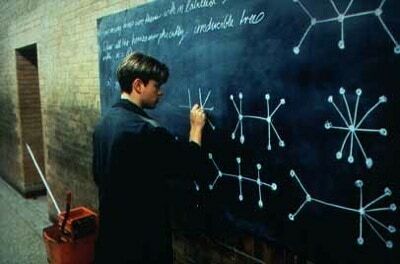 this reminds me of russell crow in “a beautiful mind”. Let me mention here that being exceptionally good with numbers in my opinion is a genetic trait,its something that is inborn,and cannot be cultivated by practicing a hundred problems a day,sure that will sharpen your mind,but only so.. In response to EricH, for the most part he is totally right, except his one statement: “The best thing to do when you are stuck then is to GET HELP.” While this is [i]almost[\i] the best thing you can do, the BEST thing you can do is exactly what Cal Newport said, keep working on it! I’m a physics student at a liberal arts college in Iowa that is renowned for its physics program around the US for its research (I even have a paper that should be out soon that is in collaboration with MIT Draper Lab), and our professors work us hard. We see MIT problems or variations on them on our tests frequently. 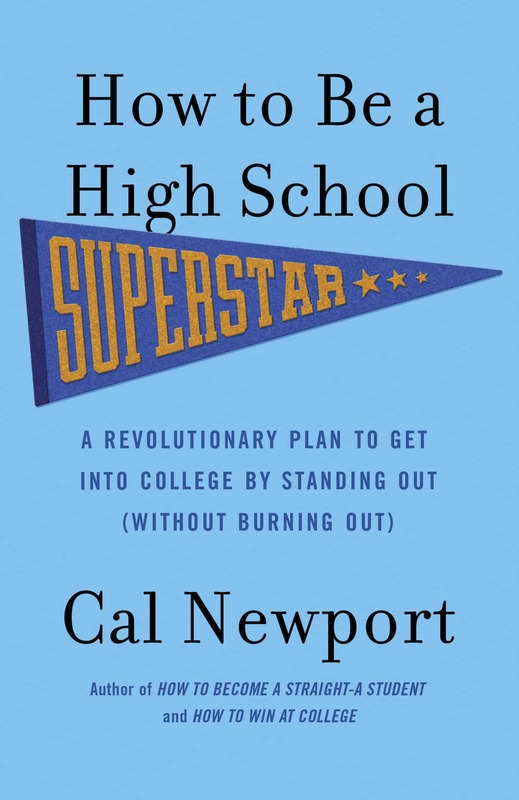 Do exactly what Cal Newport says, when you get stuck, KEEP WORKING. Nothing is better. In math (I am also a math student and have gotten a solid A in every math class here), so in upper end math, the problem is always that you don’t understand a theorem like you should. And the only two ways to figure it out are 1) to ask someone who already knows it, or 2) to work by yourself or with a group to figure it out. And if you do #2, you will be much better off because when that test comes, and there is a new theorem on it that you have never seen but are going to have to use, you have to be able to understand what it really means. And the best way to do that is through practice. I’ve been reading this blog for almost 3 years now, and it is INCREDIBLE stuff in many cases, I just had to learn to fit it to my needs and desires. I promise that Cal Newport is right here, just keep working until you are completely, 100% stuck, and then you go right ahead and ask someone. And often it is beneficial to ask your professor something even after you believe you’ve gotten it right, because they have great input that you would never have thought of. This works, wonderfully well. I completely agree with this. In my program, many people go to a tutor every time they get stuck and ask for the solution. While there is a time and a place for tutoring, getting stuck on a problem is a great blessing: because you’ve reached your limit, you can now expand it. Nothing can make you more intelligent besides yourself. The only way it can happen (as you talked about) is through hard focus. Professors can tell the difference between someone who does this and someone who doesn’t. That’s why I get professor recommendations for anything I ask for when others don’t. THANK YOU SO MUCH. I’ve been looking for an example of someone who DID NOT have as “strong” of a math background as his/her peers upon entering college, but who still excelled. I’ll take your advice and aim for my math major, no matter the cost. Thank you thank you thank you. Grateful potential econ/math double major. true, a 4 in ab calculus is not a great record in math, but i’m sure you had a perfect or near perfect math SAT. please do correct me if i’m wrong here. When I went through college, I was slow at doing math and physics problems. Probably could have got better grades if I’d followed this advice.